How can I slow down CKD? If you have chronic kidney disease (CKD) some lifestyle changes can help to prevent further kidney damage and slow down the loss of kidney function. You can keep your kidneys as healthy as possible by making any of the changes that apply to you. 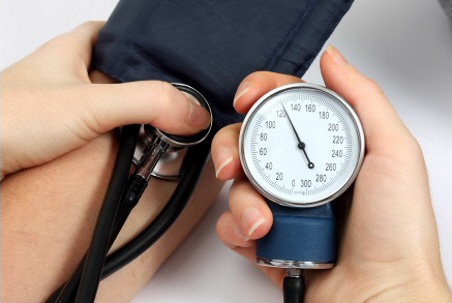 Keeping your blood pressure under control is the most important thing you can do to look after your kidneys. Eating a well-balanced diet, staying a healthy weight, being physically active, and taking any medicine prescribed by your doctor will all help you to do this. If you smoke, stopping may help to slow down kidney damage. Smoking can worsen diseases that harm your kidneys, such as diabetes and high blood pressure. If you need help to stop smoking, you'll find lots of information and resources in How to become smokefree. Doing at least 30 minutes of physical activity, five times a week, does more than just make you feel better. It also helps to improve your blood pressure and lower your cholesterol, both of which can contribute to CKD. Look through the information and resources on Keeping active. Lose weight if you need to. Being overweight increases your risk of high blood pressure and diabetes, and also damages your kidneys directly. Keeping a healthy weight helps you control your blood pressure and blood sugar, and also lowers your risk of kidney disease. Read more about How to lose weight. Making sure you have a healthy, well-balanced eating plan will help you to control diabetes and high blood pressure. This includes having a low-salt diet. As CKD progresses, your eating needs will change. You can read more about Eating well with chronic kidney disease. High cholesterol can damage the blood vessels in your kidneys, and increase your risk of heart disease and stroke. Keep your cholesterol within the target range. Eating well, keeping active, and taking any medicine prescribed by your doctor will help with this. You can also read more about High cholesterol. Some pain relief medicines you can buy at pharmacies and supermarkets can damage your kidneys. These include ibuprofen (Nurofen, Brufen) and diclofenac (Voltaren). Check with your doctor or pharmacist about any medicine you are taking or planning to take, to make sure it won't damage your kidneys. Make sure you have at least two alcohol-free days a week. Women should have no more than two standard drinks a day, and no more than 10 standard drinks a week. Men should have no more than three standard drinks a day, and no more than 15 standard drinks a week. Limiting the amount of alcohol you drink helps you to control your blood pressure. If you have diabetes, make sure you keep your blood sugar under control. Chronic kidney disease is often a complication of diabetes. Keeping your blood sugar under control will help to reduce your risk of CKD. Take all the medicines your doctor prescribes – ask your pharmacist how to take them if you're not sure. Make sure you tell your doctor about all the medicines you are taking, including any you buy over-the-counter, as well as any vitamins, supplements or natural remedies. Read more about How to take medicines. This comprehensive, 96-page downloadable booklet covers every aspect of living with CKD, including treatment options, nutrition, lifestyle and more.